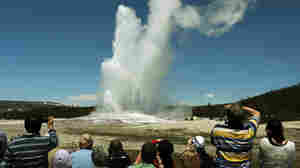 July 17, 2011  Celebrating one of America's great national parks — and an upcoming vacation — in photos. August 9, 2010  Federal agents caught the second of three escaped Arizona convicts near Yellowstone National Park. July 30, 2010  A mother grizzly responsible for leading an attack on three campers near Yellowstone was euthanized. July 29, 2010  A female grizzly bear suspected in attacks, one of them fatal, at campsites near Yellowstone, was captured along with 2 of 3 cubs. Besides the dead camper, two were injured. The bear will be killed.